Pixie and Pixel were surprise twins given to us by our Snowy sheep after she retired here from the McNair flock a few years ago! Two little black lambs were running around in the barn waiting for us that year- on shearing day?! What a day to make an entrance! Snowy was a wonderful mama and the babies grew into beautiful almost black Romney sheep. 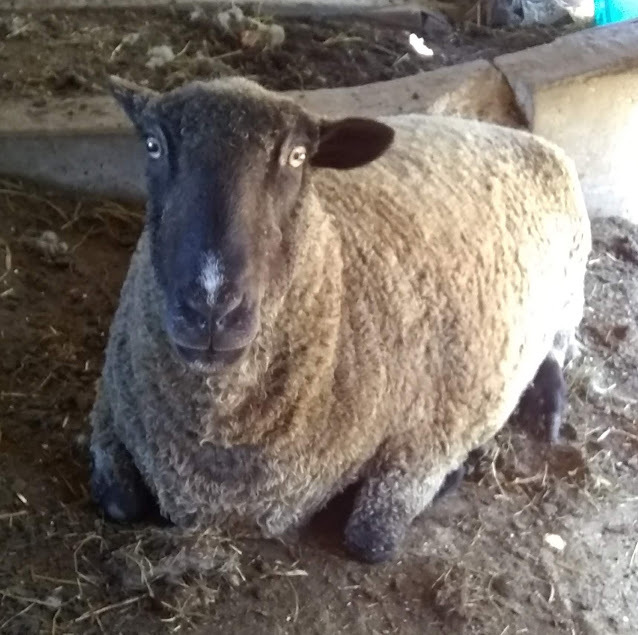 They are still the sweetest little family and all three love treats, walks and romping in the pasture with the Shetland sheep! On his own Pixel loves company. If Pixie comes around, she convinces him to run out of reach with her? Guess he is pretty easy going! He loves his treats, Pixie and mom Snowy. Pixel's fleece is more silvery now, a dark dark brown with striking silvery threads through out his curly crimp. His locks average around 6 inches long- silky, next to the skin soft soft soft! Pixie is a little wild girl (although not so little any more) who likes to get up close to see what we are up to when we are fixing fence, etc. She also thinks we can't see her? If we don't look at her she will stay around the entire time. Look over your shoulder at her and if she catches you looking, she's off to the races. As far away as she can get. Just in CASE we want to grab her up? She's so funny! She usually ends up with about 10 more sheep running behind her. They don't really know what the 'danger' is but they love a good chase! 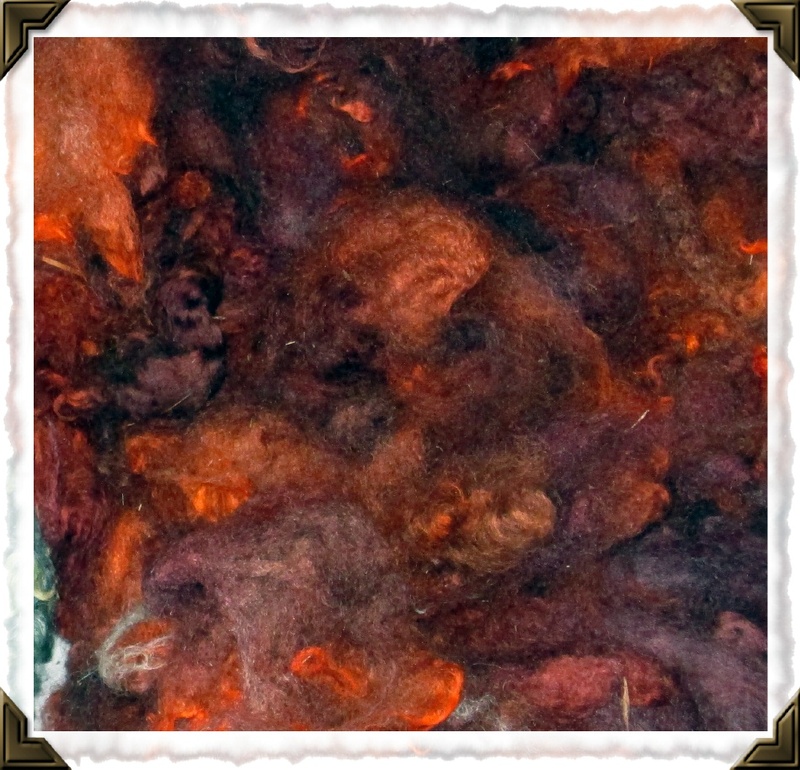 This is an example of how Pixel's silver fleece looks all dyed up! Pixel is trucking right along! He is SUCH a silly sheep. He always looks so surprised? Maybe he needs glasses? ha! 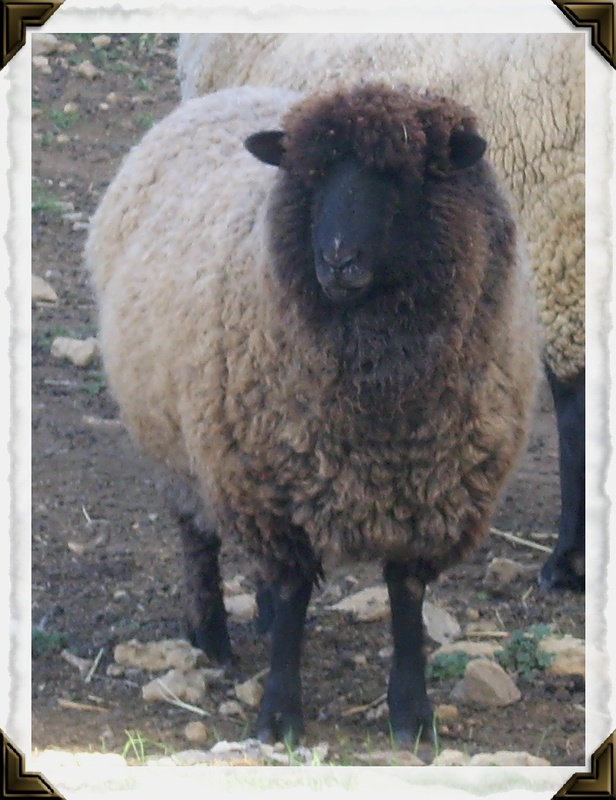 His fleece is much more gray now and seems the locks are longer each shearing? This year they were 6 inches long. We did shear a month later though, guess that explains it! Pixie is such a silly sheep. She's one of only a few of our Romney sheep left. I sure miss retiring sheep from the McNair flock! They sold the sheep when their kidlits went off to college so they could travel the world. Pixel (her twin brother) is always playing tricks on her. Boys! Pixie usually gets the best of him though. She's much more sly than he is! 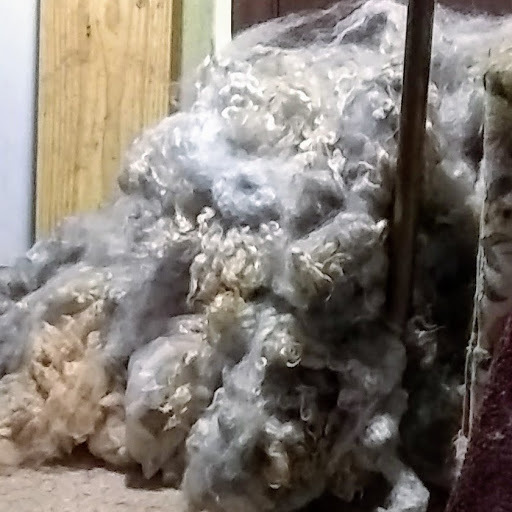 Here is a picture of Pixel’s fleece all washed, floofed and ready to be spun into our trademark Lash Yarn! Ooh la la! Pixie is her happy, curvy self! She is excited about Thanksgiving parties. I’m not sure what the sheep have up their sleeves? Usually they spend the day eating carrot cake and decorating for Christmas. They are quite, shall we say, creative? They don’t like my rules about pretty lights. I have a thing about fire so lights stay on the trees outside. Nothing allowed in the barn! I’m such a party pooper. Sledding is anxiously awaited too. So far only a dusting of snow here in southern WI. I hope we have a traditional snowy winter. No ICE! Otherwise we are just working on getting everyone where they stay in winter. Nice cozy barns make for happy sheep! This is a picture from summer of Pixie (top); Devlyn (middle) and Pippy (bottom).